So many school districts are having such a hard time delivering the basics of an equal opportunity for an education that one in three statewide has been targeted for special assistance, according to a comprehensive state report card released by the California Department of Education Thursday. The state identified 374 school districts out of roughly 1,000 that qualify for additional help — more than 60 percent more than last year, when the state issued its first set of ratings under the new “school dashboard” system. School districts that qualify for the so-called State System of Support show such low scores or so little progress among student groups that they fall into a “red zone” on two or more educational indicators, from test scores to suspension rates and chronic absenteeism. 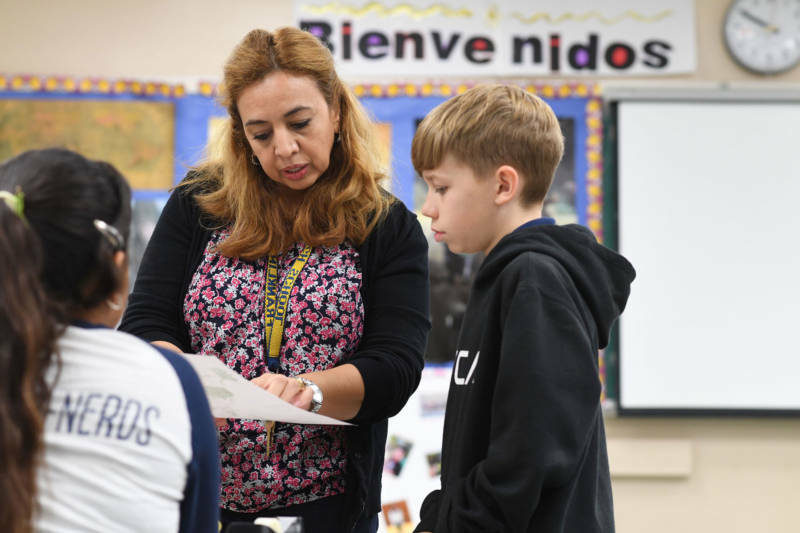 Last year, the state identified 228 such districts, but critics questioned the numbers, noting that test scores pointed to a far more widespread need for assistance. Since then, the dashboard has been tweaked. “[This] should create a tremendous urgency for our newly elected state leaders and local leaders to start to do something dramatically different to support our students so that several years from now, far fewer schools are struggling to create opportunities for all students,” Hahnel said. The California School Dashboard, intended to offer a more holistic assessment of public school performance, was created in part to help the state identify low-performing school districts and help them. It also replaces the state’s old standardized-test-based system as a way for communities to see how their schools are doing. To that end, this year’s dashboard — the first since it debuted last year — paints a somewhat chaotic picture, reflecting both the California school system's vast size and its vast mission. Like the aggregate data earlier this year on standardized test scores—which showed a majority of California students underperforming in basic subjects, and little or no progress in closing the achievement gap between affluent and underprivileged children—its color-coded charts are a call for action and dispiriting. Only 40 percent of California’s public schools received “passing” marks in English language arts last year — and only 33 percent met the state’s targets in math. More than half of the state’s schools were in or near the “red’ zone on chronic absenteeism, and even supposed bright spots, such as graduation rates, were clouded by the state’s widespread use of online “credit recovery” courses and other techniques used by districts to deter dropouts, and perhaps artificially inflate the proportion of students who actually meet requirements to graduate. The dashboard itself also remains a somewhat controversial work in progress. On one hand, its trove of data on multiple barometers is far more three-dimensional than the old system. Schools no longer receive a single overall rating by the state, and the new system takes into account not only a school’s performance but whether it improved or declined from the prior year. But critics complain that it’s confusing, even with adjustments in this second year and the addition of new indicators to deepen the picture. The dashboard rates schools’ performance on an indicator using five different colors. Red is the lowest achieving mark, followed by orange, yellow, green and finally, blue, the highest rating. A school is considered to have a favorable mark if they are rated green or blue on an indicator, though the state’s rubric does not explicitly spell that out. In fact, the state’s color labels in general have broad interpretations, to the point that it can be difficult to deduce the significance of a rating. For example, a school that has a middle-of-the-pack yellow rating in math could either have posted very high scores this year that significantly dropped compared to the year before, or achieved very low scores that significantly improved from the previous year. Chronic absenteeism: About 3,600 elementary schools across the state-—about 47 percent—received red and orange ratings on this indicator, meaning that more than 10 percent of their students missed 18 days or more out of the school year. Officials say this statistic is important because it helps indicate a student’s engagement and whether they’re likely to drop out of school. School suspensions: More than 5,000 schools, or roughly 53 percent, received green or blue ratings in this indicator. About 30 percent were rated red or orange. While school officials are generally optimistic about the state’s direction in this category, many schools continue to have disparities in school suspensions that negatively impact black and Hispanic students. On college and career readiness, schools are faring worse. One of the new indicators on the dashboard measures how well California’s high schools prepare students for postsecondary careers. About 675 schools, or 38 percent, were rated green or blue in this category. The state gave nearly half, 47 percent, of high schools a red or orange rating. And a closer look underscored the diversity of California, where more than 6.2 million students are enrolled in some of the most elite and most challenged public schools in the nation. 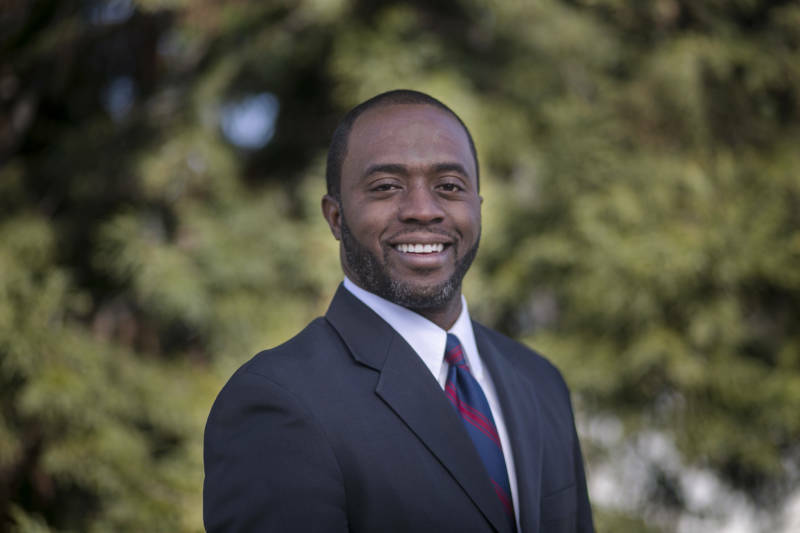 West Contra Costa Unified, where 72 percent of students are socioeconomically disadvantaged and one-third are English language learners — and where California’s new Superintendent of Public Instruction Tony Thurmond was once on the school board — rated orange in reading and math and orange in student suspensions. 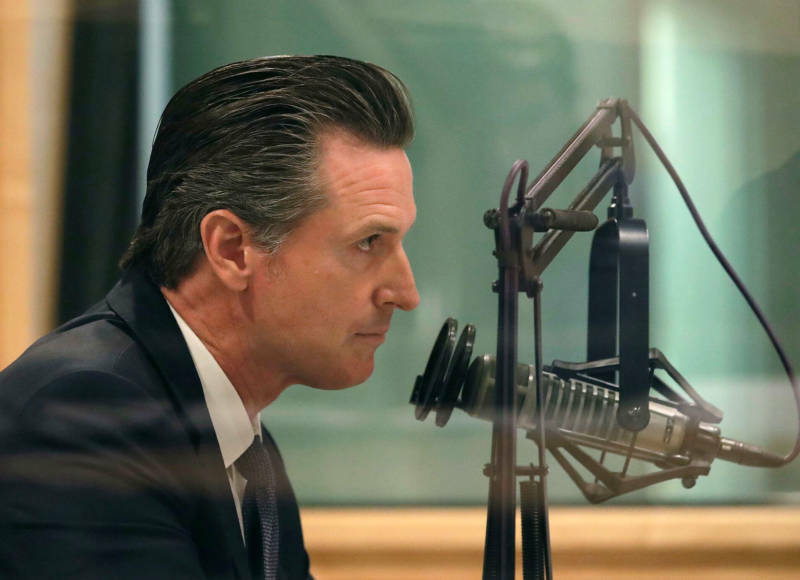 Meanwhile, in Kentfield Elementary, an affluent Marin County district of 1,200 kids whose residents include Gov.-elect Gavin Newsom, the dashboard scores were an upbeat mosaic of blues and greens. Only about 10 percent of Kentfield Elementary kids come from low-income households. Los Angeles Unified, the nation’s second-largest school district and California’s largest, ranked yellow in both reading and math, with a blue for its low suspension rate of 0.5 percent. And while this year’s dashboard measures more data than it did the year before, it’s drawn some criticism for what it’s left out. The dashboard now measures schools’ performance in addressing chronic absenteeism, but not at the high school level, where data is more likely to show higher rates of absences among older students. Samantha Tran, senior managing director for education policy at Children Now, an Oakland-based nonprofit, nonpartisan advocacy group, said it’s “really unfortunate” thatthe dashboard lacks chronic absenteeism for high schools. The metric, Tran said, helps you find “kids who are not engaged fundamentally” in school and who would be less likely to graduate.